Introducing a no-nonsense design with extreme durability. The Verifone UX400/401 is a weatherproof POS system that is specifically built for outdoor use. 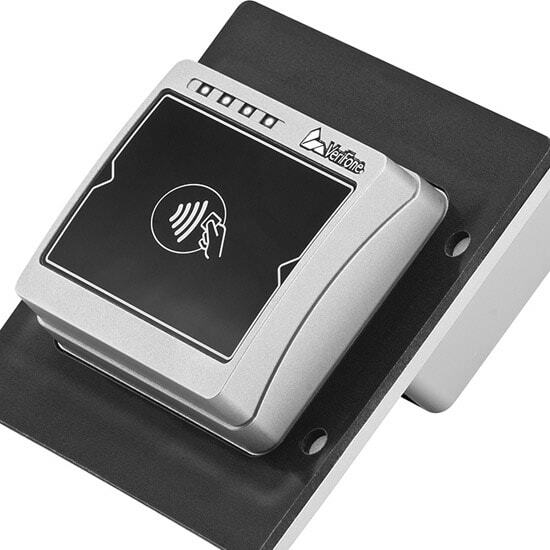 Versatile and armed with an anti-vandalism enclosure, it is ideal for unattended environments with a high volume of transactions, such as on-street parking meters and ticketing machines. This device requires no maintenance, making it the ultimate fuss-free payment solution. It features SRED secured NFC/CTLS, making it possible to accept all kinds of contactless payments, including mobile wallets and payWave. The Verifone UX400/401 is also PCI 4.x certified and meets international safety requirements. It is secure, has Bluetooth capabilities and features LED and audio guidance for customer enjoyment. It is also equipped with a power-saving system that wakes up on card tapping. User friendly and completely functional, the Verifone UX400/401 is a modern day self-service machine. To order new Verifone UX400/401 POS devices, contact Firemane today. We sell both new and used credit card terminals in bulk to resellers all around the world. All refurbished and new POS equipment comes with a 12-month warranty.